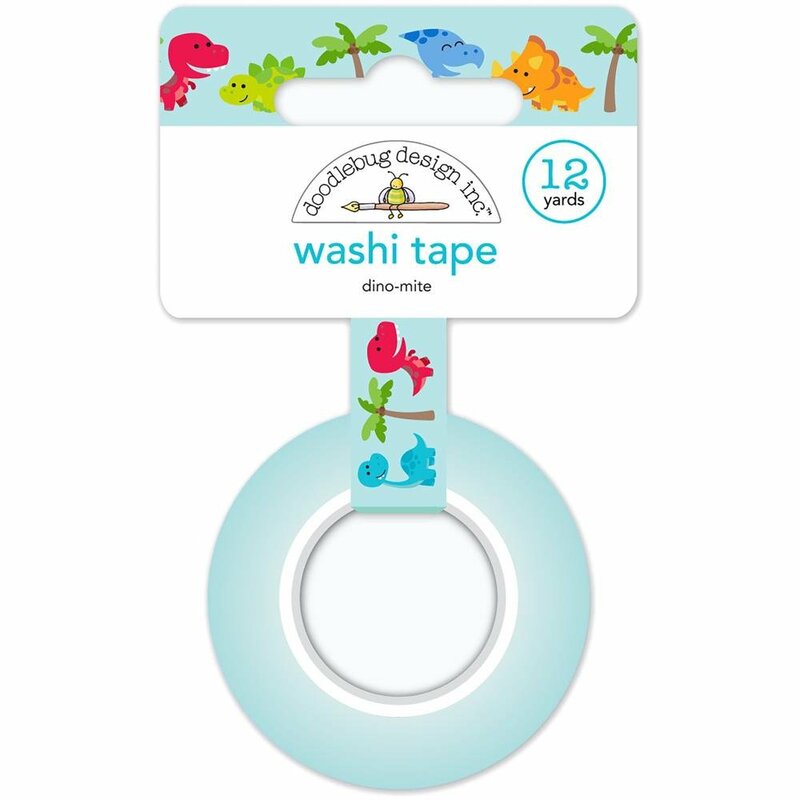 Dino-mite Washi Tape by Doodlebug Design. The perfect addition to all your paper crafting projects! This package contains 12 yards of .5" wide slightly transparent washi tape.